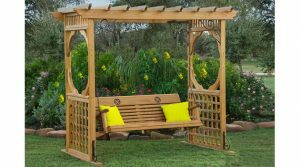 The Peak Series is loaded with some of our most popular accessories and is designed to adjust for relatively un-level yards. 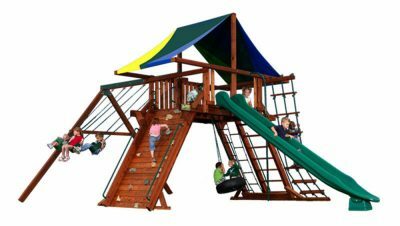 Peak Playsets are constructed for parents and children to play together. 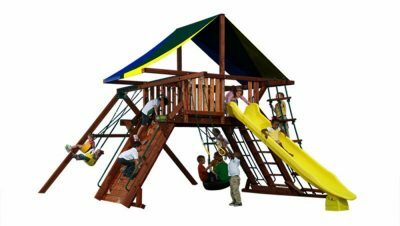 The Wooden Swings Playsets Peak Series is completely redesigned for 2010. We’ve taken the best of our previous angled leg systems and combined them into the Peak. 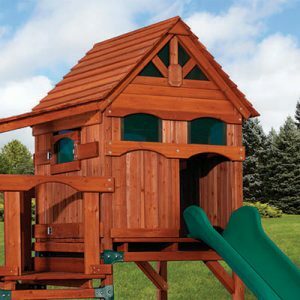 The new larger 6′ X 6′ deck size is huge, and the taller head room makes this a perfect play set for you and your children. 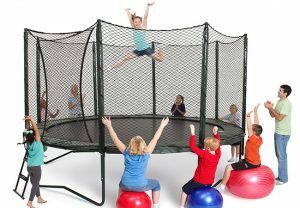 You’ll be amazed how much room you’ll have while playing in one of our Peak forts. When you compare our Peak Series to other angle leg swing sets, it’s easy to see the incredible value we’ve built into our Peak Playsets. No other similarly designed system will provide the same combination of play value, quality, reliability, and fun.